At St. Mark’s, our worship is grounded on the truth of the Bible as transmitted in the beauty of the Anglican tradition. It is done with reverence and dignity, according to the time-tested Biblical and traditional forms of the historic Book of Common Prayer (in the edition of 1928). The full service is printed each week in a Service Bulletin, providing our visitors with a simple guide to follow the service. We are committed to the Bible as the Word of God, containing all things necessary to salvation. Our services are permeated with readings from the Scriptures, songs based on Scriptural texts or themes, and actions and prayers that have their grounding in the Scriptures. Music is an important part of our worship services. At St. Marks we desire for our music to be reverent, God-centered, liturgically appropriate (fitting in with where we are in the liturgical year ), and theologically orthodox in content. 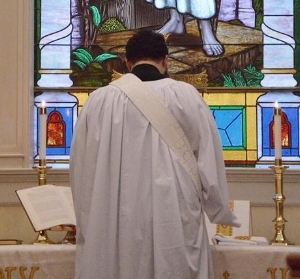 We are a traditional Anglican liturgical parish, believing that the historic Book of Common Prayer (1662/1928) sets forth a good and godly pattern both for our worship and for our formation as Christians. Whether we are hearing God’s Word read & preached upon, receiving the Sacrament, praying, or lifting our voices in song it is our desire that our focus would be upon God the Father Almighty whom we worship through the Son and in the power of the Holy Ghost. 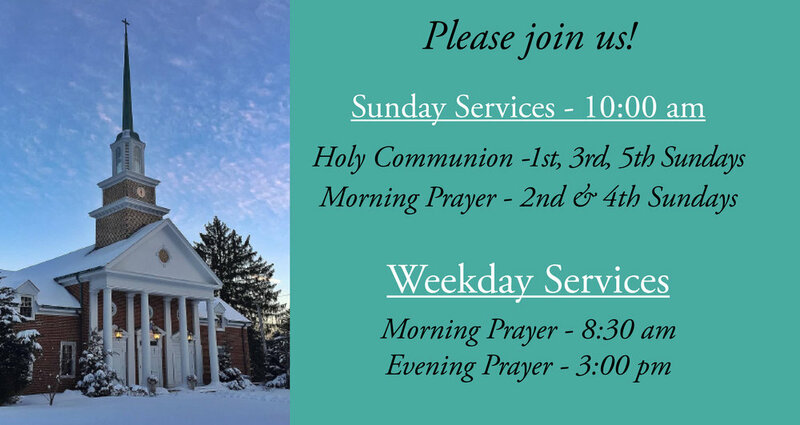 You will notice that our services are full of prayer. Sometimes these prayers are offered to God silently, at other times they are spoken corporately (the congregation praying in unison), and sometimes the clergy prays alone on behalf of the congregation. Our mission is to fulfill the Great Commission that Jesus gave to the Church, namely to “go and make disciples of all nations, baptizing them in the name of the Father and of the Son and of the Holy Spirit, teaching them to observe all that I have commanded you” (Matthew 28:19-20). All of our ministries seek in some way to help us fulfill this mission. Our school (K-8th) was established in 2012 as a means of serving our community, strengthening the parish, and equipping a new generation of thoughtful, joyful, and Christian leaders. The St. Mark’s Fellows Program offers parochial formation to seminarians who are seeking to discern a calling to ministry within the Anglican tradition. Bible Studies and Fellowship Groups provide participants with opportunities for support, friendship, and discussion centered around Jesus Christ and the teaching of the Bible. Opportunities for adult education occur throughout the year, such as special seminars and lectures. The Adult Forum is offered each Sunday morning.